Intel released Pantip E-Sport Arena Powered by Inteland the newest products for gamers andcontent creators that need maximum process ing power. Pantip E-Sport Arena powered by Intel, the new place for the athlete's E-sport in Thailand for training and competition within the area of over 600 square meters, has PC that use the latest Intel Core i7 Processor for gamers in Thailand to get the best experience. Pantip E-Sport Arena powered by Intel located on the first floor of Pantip Plaza, Pratunam. Collaboration with Intel to open this area for every people to know more about E-Sport and athletes are training seriously to advance to the International level. 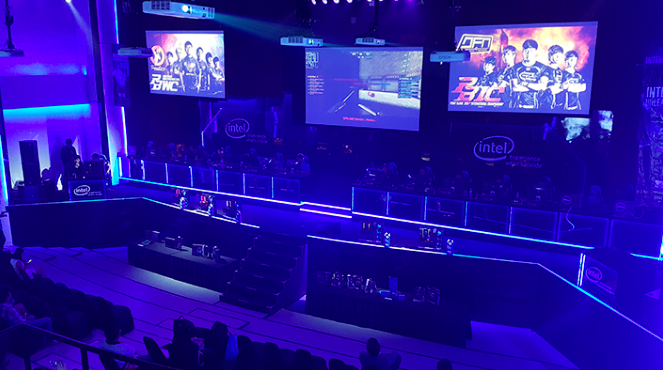 E-Sport Arena powered by Intel is also suitable for E-sports competition and high-tech product launch that will happen in the future. Managed By Speed Gaming Co., Ltd. An Affiliated Company of Speed Computer Co., Ltd.